The unit is designed to allow quick transfer of such viscous materials as tar, adhesive, chocolate, molasses, paraffin, tallow, various petroleum products, etc., from standard 55, 30, or 5 gallon steel containers. Availability of two different types of controls permits the user to fit the heater to a specific application. This is important, because various materials have different heat transmissions and reaction characteristic. Neon pilot light indicates when the unit id on. Each heater includes compact contoured control box, improved clamping hardware, and an attached 6-foot power cord with an optional three-conductor plug for grounding. For more information about drum heaters, download the Drum Heaters section of our product catalog or contact us to order. 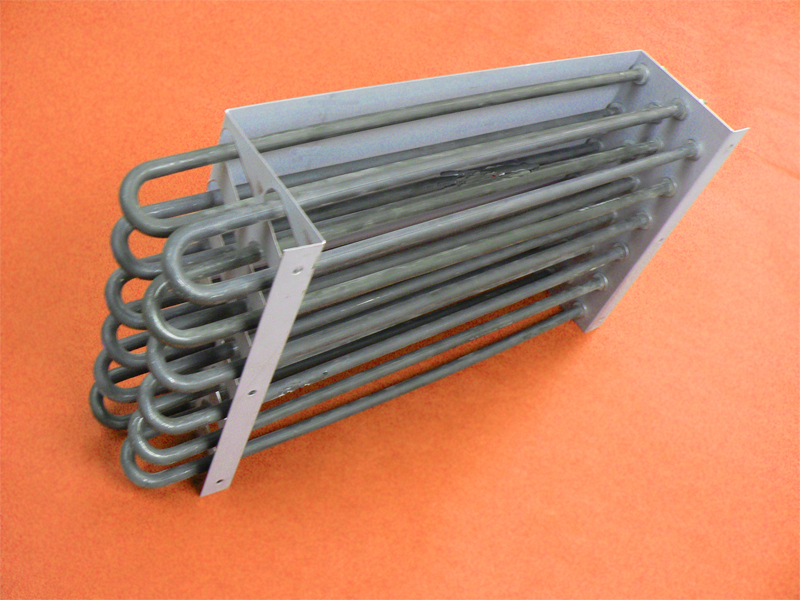 Tubular heaters are well suited for process air heating applications. The high-temperature heaters consist of tubing with an outer sheath of Inconoy and a special internal construction. The outer sheath offers high temperature capabilities, reduced oxidation as well as corrosion resistance. The tubular heater is available in different diameters that are configurable either as formed tubulars or process heaters. 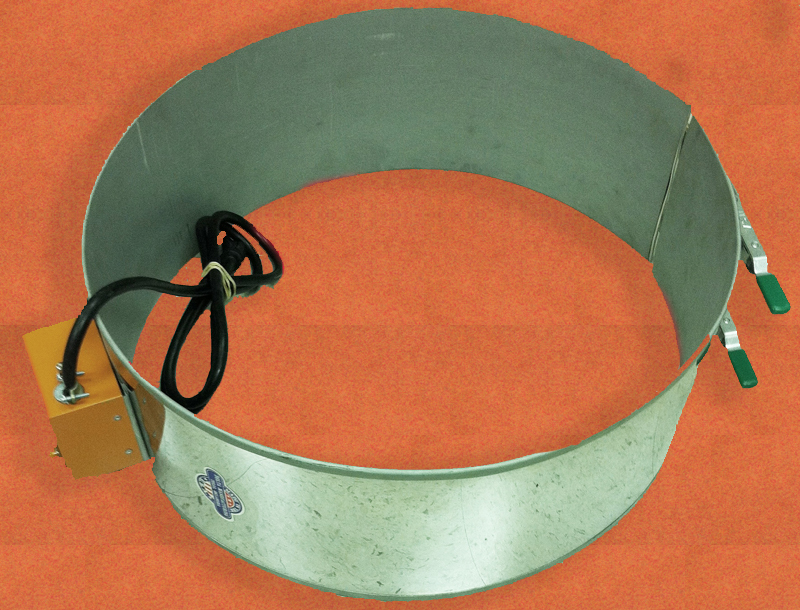 The tubular heaters can also be welded to flanges and plates for mounting purposes. Tubular heating elements are versatile and transfer heat exceptionally well by conduction, convection, or radiant heating to heat liquids, air, gases, and surfaces. Round, triangular, flat press, and formed bends are made to customer requirements. For more information about tubular heaters, download the …section of our product catalog or contact us to order. Popular applications of drum heaters include: re-heating and dehumidification, air heating for processes, curing finishes, comfort heating, shrink tunnels. For more information about air duct heaters, download the Air Duct & Open Coil Heaters section of our product catalog or contact us to order. 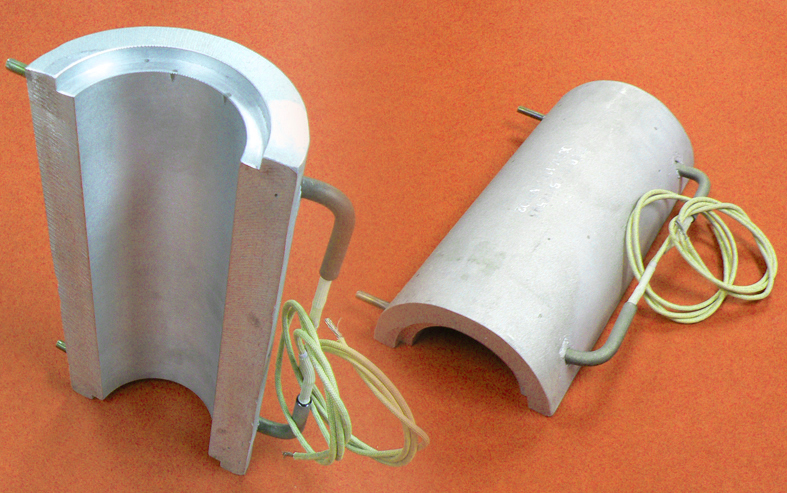 Cast-in liquid cooled barrel heaters are the most common cast -in heater design. The liquid cooling tubes run symmetrical to the heater element, which provides a uniform cooling pattern across the body of the casting. This cooling function dissipates heat rapidly from the cast-in barrel. To maintain lower watt densities important for good heater life, the largest possible diameter steel sheath tubular heater is used. Cooling tube extensions can be cut to your specified length. Many options available, liquid or air cooled. For more information about cast-in heaters contact us to order. For more information about mica insulated band heaters, download the Mica Insulated Band Heaters section of our product catalog or contact us to order. Delta offers a wide selection of accessories to aid your application needs. Thermostats, thermocouples, thermocouple wire, Hi-temp wire and terminals, shielded wire, controllers, and much more. Please contact us for your needs. 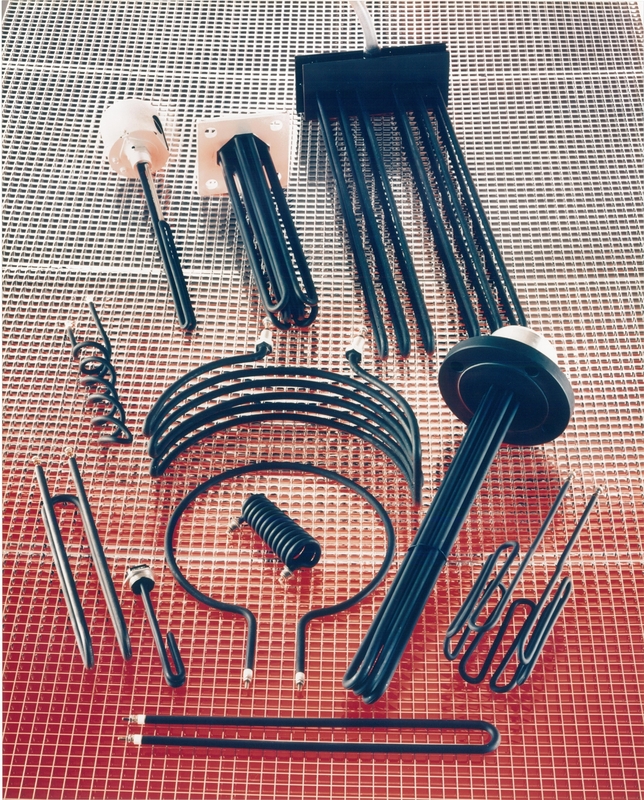 For more information about accessories for heating elements, download the Miscellaneous Accessories section of our product catalog or contact us to order. For more information about protection and sleeving for lead wire, download the Miscellaneous Accessories section of our product catalog or contact us to order. For more information about thermocouples and accessories download the Thermocouple section of our product catalog or contact us to order.